Gain peace of mind by securing all your websites. We fix hacks and prevent future attacks. A cloud-based platform for every site. and DDoS attacks with our WAF. Sucuri researchers constantly innovate as cyber threats evolve. Depend on us to support your website as if it were our own. Our solutions are easy to deploy and fully customizable. 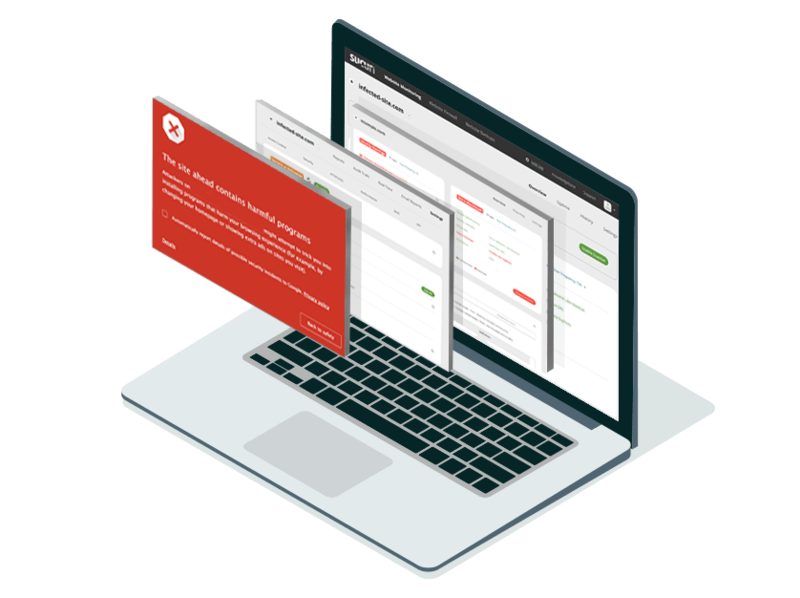 Do you require a custom solution or need to protect multiple sites? We offer flexible plans to meet your requirements. We were losing a lot of valuable time cleaning sites ourselves. We were looking for a partner to outsource the cleaning up of malware to. Three things were important to us: The cleanups should be thorough and fast, the process to request a cleanup should be easy, and the costs should be reasonable for us and our clients. When you have so many clients and websites, we can’t look at everything all the time. We need someone proactively checking on our behalf. Sucuri knows about security issues before they become a problem. We use Sucuri’s Website Application Firewall which is awesome. For a while, Yoast.com use to get hacked every month. Of course we were a high profile target so people were targeting us. We knew we had to do something different. I asked around, and someone said I should contact Sucuri. That’s exactly what I did, after I tried for hours to research the problem. I contacted Sucuri and they fixed it in a couple hours. Boom. It was done. Sucuri saved our skin! Immediately when the firewall was activated, the threats stopped. The site was now protected which saved us a major headache over the weekend. I trust that Sucuri has the experts. They have even helped with situations that turned out not to be malware. The customer service is beyond what it needs to be, and that's rare. Contact us for volume discounts or see our Agency and Partner plans. None of our plans are limited by the number of pages on your site. You have 30 days to request a refund according to our terms of service. Perfect for bloggers and budget-conscious site owners. Faster response and support for SSL certificates. Fastest response time and more frequent scanning. Custom configuration and dedicated 24/7/365 support. © 2019 Sucuri Inc. All rights reserved.